The “Telegraph” sting operation directed at the Business Secretary Vince Cable and other Liberal Democrat ministers once again focuses attention on the vital issue of confidentiality and the public interest. Two “Telegraph” reporters, posing as concerned constituents, drew Mr Cable into a number of indiscrete statements about the Conservatives, the coalition and Rupert Murdoch which they secretly tape recorded and which have now been disclosed to the world. This first article dealt with Mr Cable’s “private” thoughts about his coalition colleagues and the political difficulties facing the government. The BBC then revealed that the Telegraph were told by him during a surgery that he had “declared war on Rupert Murdoch” and indicated that he would seek to block the BSkyB deal. The question therefore arises as to the basis on which it can be proper for the “Telegraph” to record and then publish such conversations. Was this breach of the “privacy” of the relationship between MP and constituent justified in the public interest in this case? “Both journalism and the public have a choice to make: between encouraging more such revelations by whatever means, or concluding that, beyond a certain point, journalism as invasive of confidentiality as it has shown itself in the past year is destructive of good governance”. Former Liberal Democrat MP David Howarth argued that the journalists may have committed an offence under the section 2 of the Fraud Act 2006. However, some other commentators including Maggie Brown and Michael White thought that, particularly, in the light of the “war on Murdoch” , the conduct of the “Telegraph journalists” was justified. There are considerable difficulties with this conclusion. This is subject to an exception in the “public interest” but the clause covers the obtaining of material as well as its publication. It is difficult to see what public interest justification was available at the time when the “Telegraph” journalists went into Mr Cable’s constituency office with their hidden tape recorder posing as his constituents. At that stage they certainly had no idea that he was going to make injudicious remarks about Mr Murdoch and, contrary to the apparent suggestion of some commentators, the fact that this information came out later cannot justify the operation itself. On the presently available material it seems that the “Telegraph” was simply engaged in a “fishing expedition” – hoping that Mr Cable could be drawn into some injudicious remark which it could then publish. In other words, there is a strong argument that there was a breach of clause 10 of the Code. It appears that a number of members of the public have complained to the PCC on this basis. Strictly speaking their complaints should succeeed. Nevertheless, we do not hold out much hope of this being the result. None of these grounds were present in this case. It is difficult to see how the operation itself can be justified as being “in the public interest”. Mr Cable would have an arguable claim for breach of confidence in respect of recording of his conversations – whether or not they were subsequently published by the newspaper. Secondly, there is the question of the public interest in publication of the contents of Mr Cable’s conversations. It is important to bear in mind the nature of the “confidential relationship” which is involved. The relationship between an MP and a constituent is one which should attract a high degree of protection – where the free flow of information, without fear of public disclosure, is strongly in the public interest. On this basis, there is a strong argument that a clear and specific public interest in publication is required to overcome the public interest in preserving the confidentiality of the relationship. It is difficult to discern a public interest of this kind in relation to the “political revelations” in the first “Telegraph” article (which, presumably, were that ones that the newspaper considered to be the most important). There is a strong argument that the exposure of differences between public and private utterances cannot, of itself, provide a proper justification for breach of confidence in this kind of case. It is obvious that politicians and other public figures cannot always be entirely candid in their public utterances. Total transparency of private discourse would make the practice of politics (and journalism) impossible. In human rights language the Article 8 rights of individuals require them to have a “private sphere” where they can freely discuss and express their views without fear of public disclosure. The position in relation to the “war on Murdoch” is less clear cut. Mr Cable’s remarks on this issue did cast doubt on his impartiality in relation to the Murdoch/BSkyB decision. This was something that could properly be disclosed to News International whose own interests were directly affected. It is less clear, however, why the information needed to be disclosed to the public generally. The strength of the public interest in preserving the confidence in communications between MPs and constituents is such that it could be argued that disclosure should be strictly confined to those having a proper interest in the transaction in question. There is a proper public interest in deterring other newspapers from carrying out future “fishing expeditions” of this kind which the law could promote by a finding that publication of the results to the general public was illegitimate even if some, low level, “iniquity”, was disclosed. In practice, the legal dimension to this case is academic. It is highly improbable that any of these issues will ever be tested in the courts. 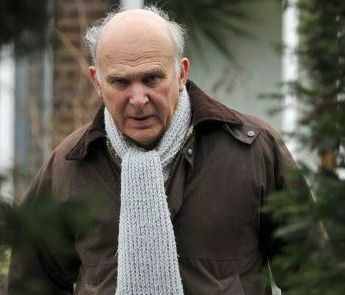 Mr Cable is not going to sue the “Telegraph” for breach of confidence. The newspaper has its scoop and – as John Lloyd argues – “good governance” has suffered further damage. Only a decisive media regulator could intervene to draw the line that the public interest requires – and to make it clear that the “Telegraph” was on the wrong side of it. The chances of the PCC taking on this role are, regrettably, very small indeed. This is an excellent post that clearly explains the ethical and legal position of the Vince Cable sting. Sadly, it is further evidence that the British press is out of control. And unbelievably, in this instance, it was not a tabloid. Is seems a bit odd that The Telegraph, in direct competition with Rupert Murdoch’s UK papers, chose to reveal what Vince Cable said about Rupert Murdoch, knowing that the Conservatives, whom the Telegraph supports, would indeed be upset. It appears to have been in the Telegraph’s interest for Vince Cable to have remained in charge of ruling on the BSky bid. Their sting appears to have been an own goal. If their goal is to undermine the coalition, there seems to have been no point in that seeing as the Tories do not have a majority. As for the subterfuge, why is it that in the land of free speech, the USA, the press is more responsible, despite there being no PCC? It appears that libel reform in the UK needs to include some sort of PCC reform as well. As everyone reading this blog knows, self-regulation does not work. Unfortunately for the press, the laws are written and passed by Parliament. But, Parliament needs to take their power, own it and use it, rather than cower to the press as usually happens. Under the norms of what usually happens with UK inquiries, The Culture, Media and Sport Select Committee did an excellent job with its recent Press Standards Inquiry, despite leaving out some important matters that need to be addressed. Maybe they need to start another inquiry into the bugging of Vince Cable, along with the BSkyB bid, now that their corresponding government department will be responsible for ruling on it.